But then there’s garlic to the rescue. Fresh and fragrant, with a wollop of a taste if not overcooked. 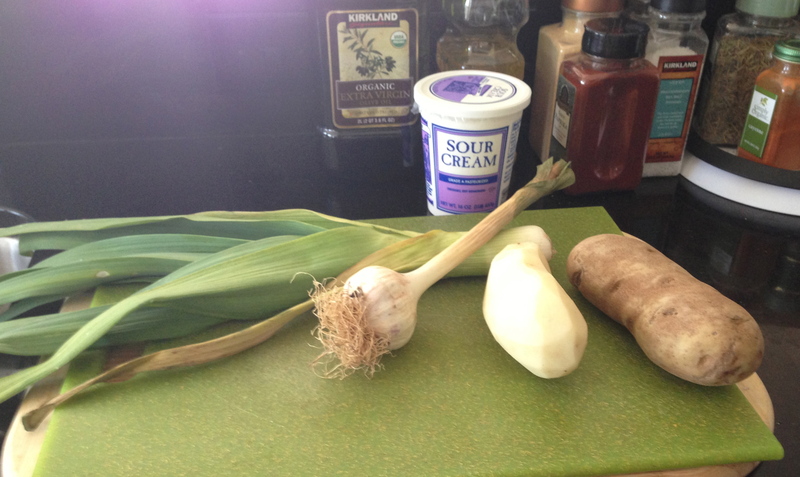 Put them together with a couple of russets and a little stock and you have potato and leek soup. Just a few ingredients. Almost no work. 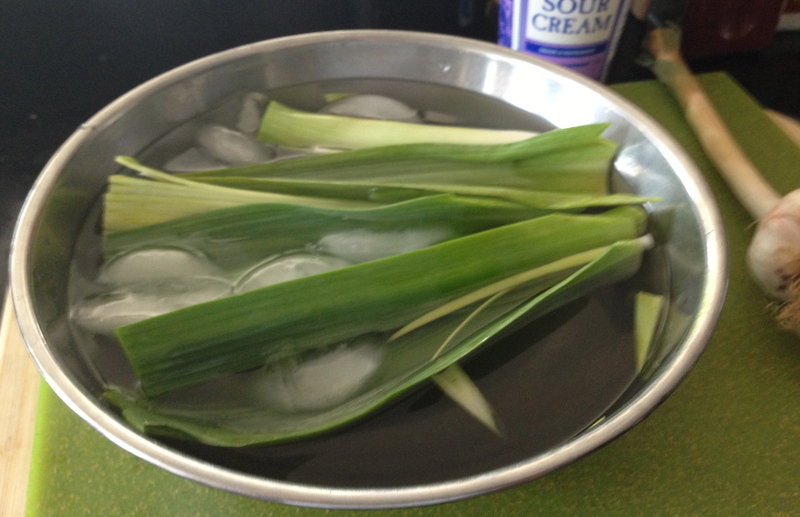 Start cleaning the leek by cutting it into segments and letting them sit in ice water for a few minutes. 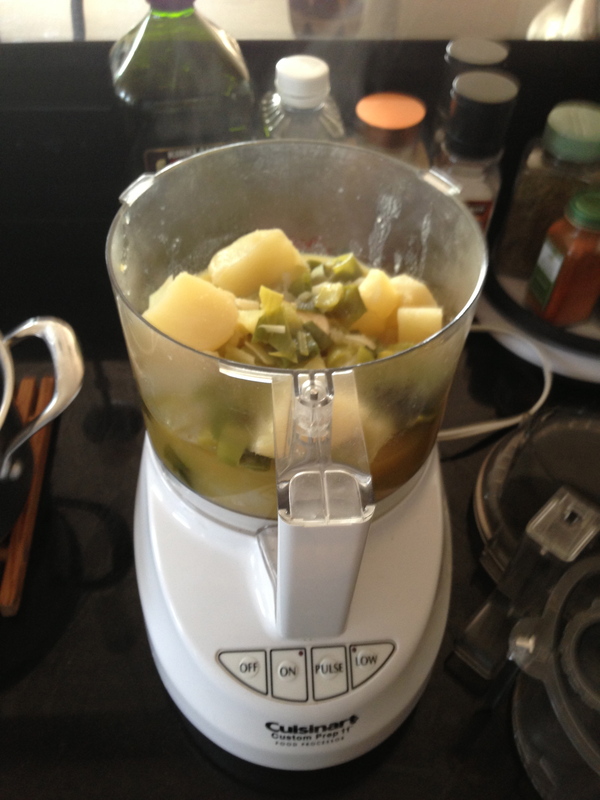 While the leek enjoys its spa treatment peel and rough cut the potatoes. Put these in a pot with the garlic and chicken stock, and salt to taste. Rinse the leek in cold running water, giving the ribs a good scrub with your fingers to get off all of the soil, and then rough cut them as well. Traditionalists say that the leek should be sauteed with butter. Although you could brown some of the green stem as a garnish to serve with the soup or on top of a crouton, I don’t recommend doing it for the soup itself. Instead, throw the leek in the pot with everything else and turn on the heat. Bring the liquid to a low boil, reduce to a light simmer, cover, and walk away for about twenty to thirty minutes. It’s ready when the potatoes are pierced through without resistance (like cooking mashed potatoes). Once everything’s cool enough to handle drop it into a food processor and puree. At this point the vegans would be totally satisfied. The rest of us need a bit more, so add the heavy cream and sour cream for the fatty goodness we all crave and give it another pulse. If it’s too thick you can add stock until you get the right consistency. The mixture should still be warm, so it can be served right away or put in the fridge to chill and serve later. 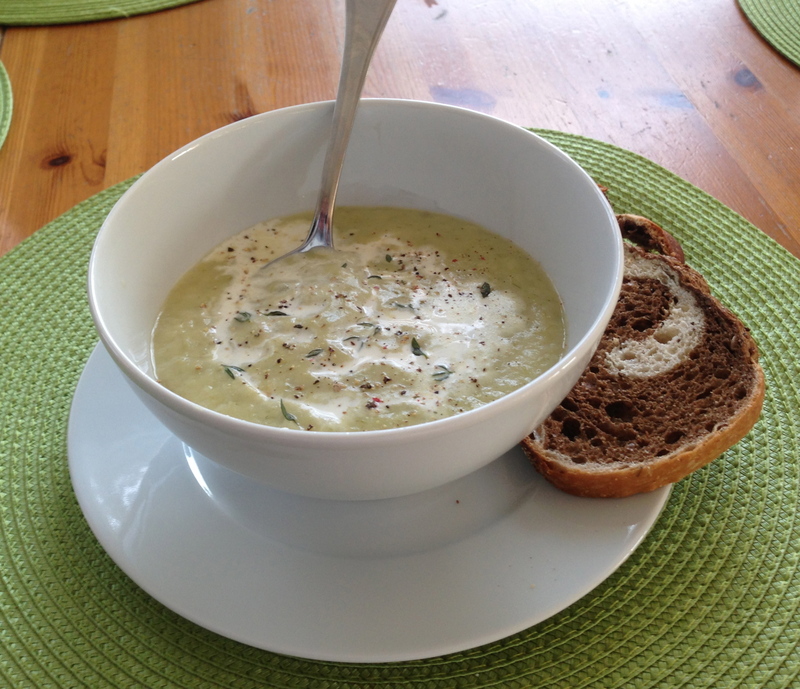 The bowl pictured above was eaten warm, with a garnish of drizzled cream, fresh thyme and cracked pepper. Update: As noted above, health nuts may want to leave out the cream. You can do this, but the sour cream will not bond with the stock and potato, resulting in a watery soup. Cream is a binding agent that, even though it doesn’t have much of a taste of it’s own, will provide body and enhance the flavor of everything else. Yum! Can’t wait to try this! 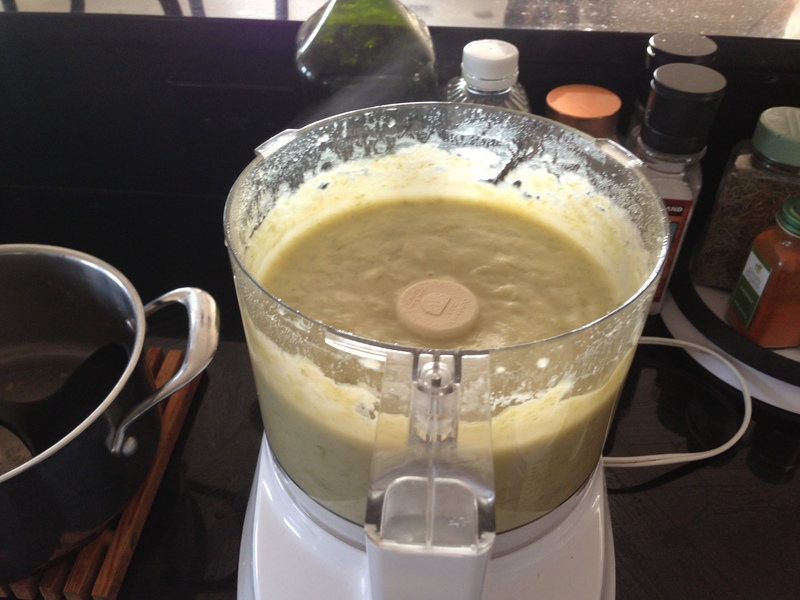 A great reminder how easy it is to make soup, and how a food processor can turn any weird vegetable into a piece of heaven (especially if a little cream is thrown in). The “Hell veggie”?! LOL! 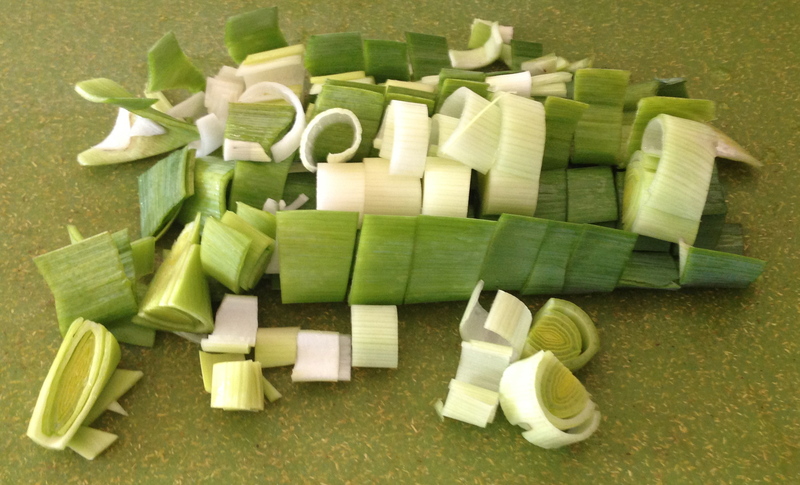 I LOVE leeks, and use them whenever I can 🙂 Nice, simple recipe…looks delicious.